Located on Americas North Coast, at one of Americas premier research universities, the Cleveland center offers a variety of unique attractions including the Cleveland Museum of Modern Art and the Rock and Roll Hall of Fame. The center is convenient to Chicago, Toronto, Buffalo and Niagara Falls. 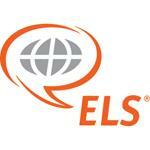 More than 550 U.S. universities, colleges and career schools (including Case Western Reserve University) recognize completion of the ELS Intensive English program as satisfaction of their English language admissions requirement, in place of the TOEFL or other exam. The ELS Language Centers University Placement Service can also help students secure placement in a U.S. university, college or career school before they leave home. The center also provides college placement assistance to currently enrolled students.